If only someone could tell us the long delay is about———–we have all prayed and been patient for so long……we care about justice for this one man Fr Christopher who has been a good priest and who has been denied the privilege of acting fully as a priest………… we inquire of the diocese and of Rome and still no one knows what is taking place as they deal with this man’s very life! He was happy as a priest— in the parish of St Isabel’s as he served the people and served God in every way———— and it was suddenly all taken away from him for reasons we believe were not justified……and no one has told him or told the people of the parish who knew him and loved him as a good priest— no one has informed us of what EXACTLY is being done to speed this process up! we know that” Rome is slow in taking care of some important issues”……….. but this is a priest found to have done nothing wrong in the law of our land………. and still we area asked to” wait and be patient!” i SUSPECT THEY TOO WOULD NOT WANT TO WAIT THIS LONG FOR AN ANSWER IF THE PERSON BEING IN QUESTION WAS THEIR LOVED ONE..
Do the right thing Church of Rome—- return this priest to his rightful place as priest and pastor in the Catholic Church. We need honest people in priesthood and he is honest and good and inspirational. 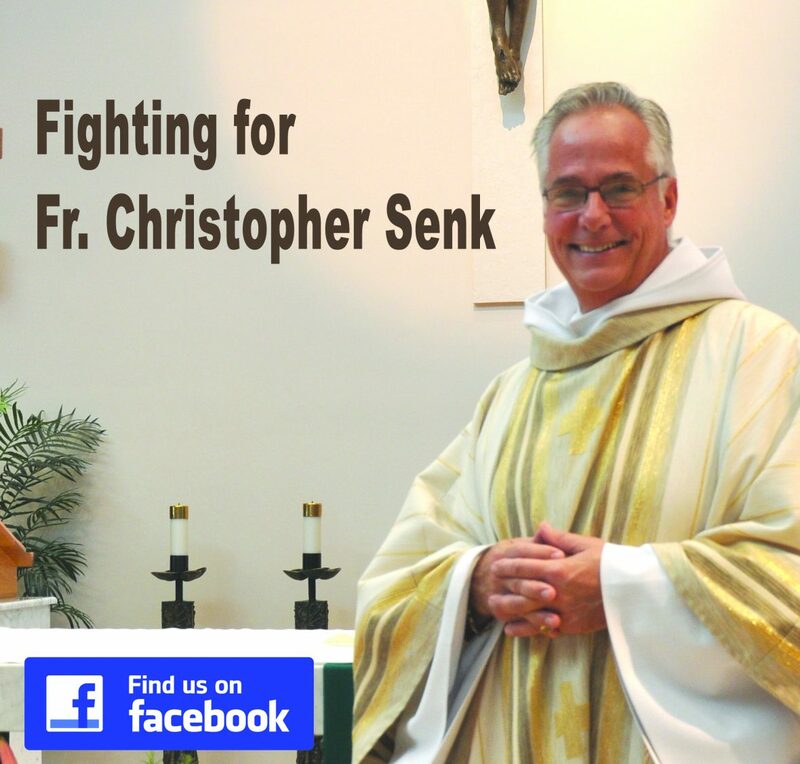 God bless Fr Christopher and those who continue to pray and work for justice for him! Pray for the people who seem guilty of holding this unjust situation up so long! Father didn’t do anything wrong…….. he was kind and caring –those are the only things he is guilty of! He is guilty of being those a good person and good priest who cares about his life as a priest and caring for his parish! We remain patient as we wait but we fell unheard and downcast and awful for the sake of Fr Christopher! He has waited way too long for an answer !